December 8, 2017, New Delhi: India is the third largest air-travel market in the world and is witnessing constant double-digit growth every year. With the purchasing power of the modern Indian increasing, many airlines are queuing up to start or expand operations in the country. With airlines offering extraordinarily low fares, people’s preference is shifting towards them and they don’t mind booking tickets 3-6 months in advance. But these low fares come with strict cancellation charges and limited baggage allowance in many cases. 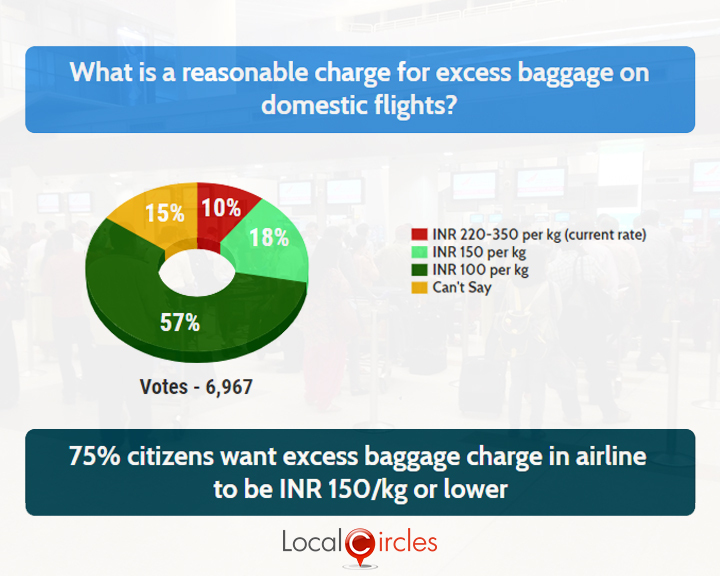 To understand this, LocalCircles decided to ask citizens what should be the cancellation and excess baggage charges on domestic routes through a two-point survey. The survey got more than 14,000 responses. 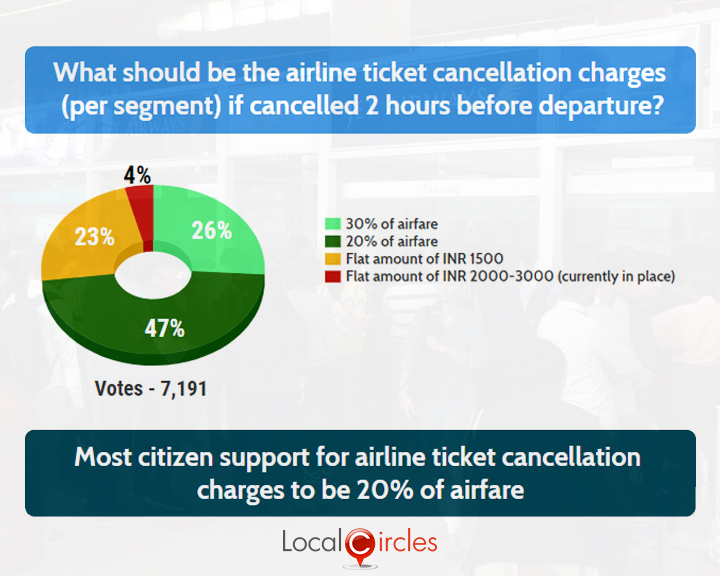 The first poll asked citizens what should the airline ticket cancellation charges per segment be if the cancellation is done 2 hours before departure. 26% in response said it should be 30% of the airfare, 47% said it should be 20% of the airfare, 23% said the cancellation should be flat INR 1500 and only 4% said it should be same as what it is now, i.e. INR 2000-3000 per segment. Many consumers have complained that the excess baggage fee charged at the airline counters is way too much for their liking and must be reduced and capped at a certain amount. They are expecting that the Ministry of Civil Aviation will take a note of the demands and act on it. 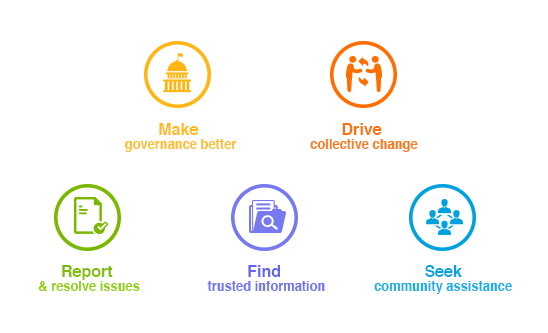 LocalCircles will be submitting the findings of this survey to the Ministry of Civil Aviation and other related stake holders so that appropriate action could be taken.